January: the start of a new year and the month where I once again grow older. It’s also the time I start planning where in the world I want to be when the 12th of the month comes around. 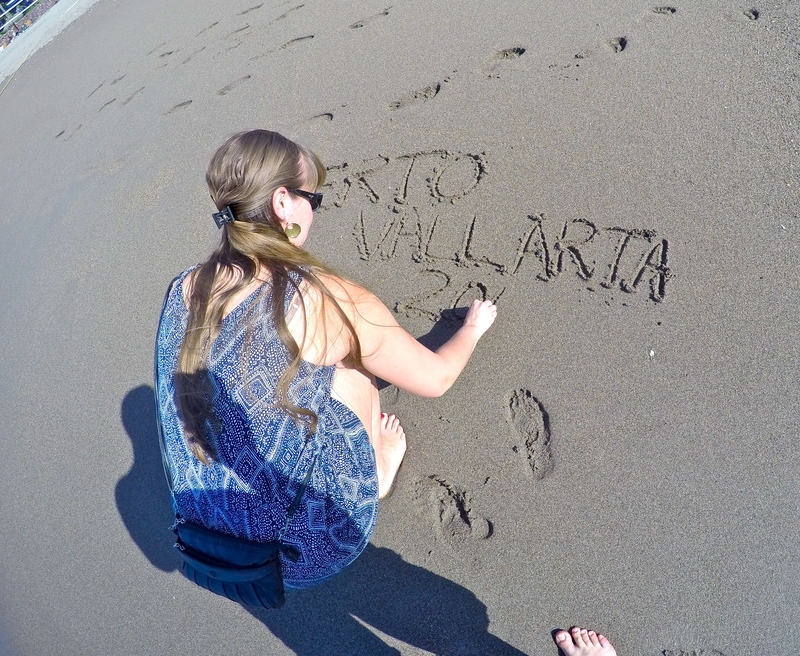 This year, I set off for Puerto Vallarta, Mexico for a few days of sunshine, sand and all-you-can-eat tacos! 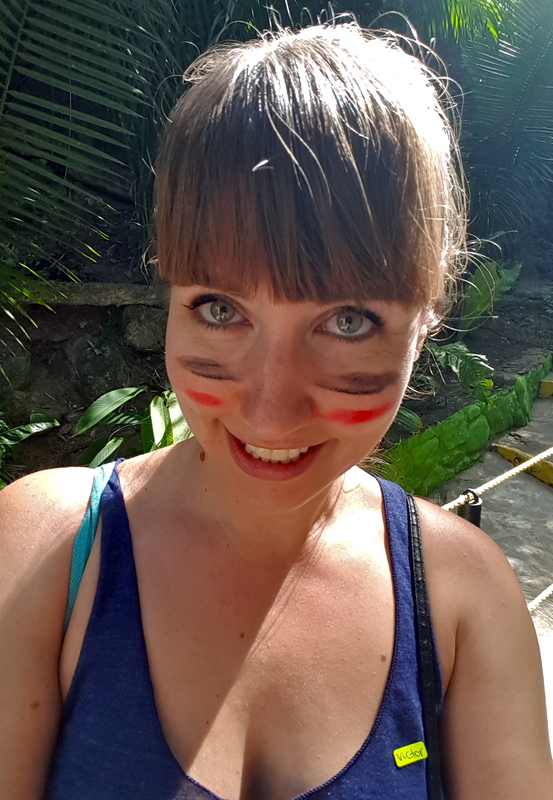 While we spent most of our time lounging at the beach and walking around the marina area, admiring the huge boats and searching for iguanas, we did set out one day to go zip lining through the El Eden jungle. 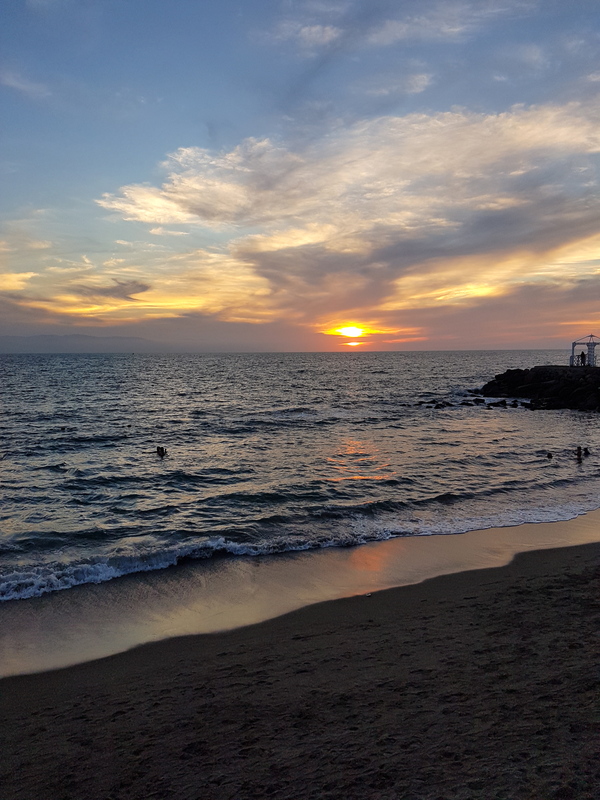 It was a bit of a drive from the Marina area where we were staying, but it gave us a chance to see some of the Old Town and drive along the beautiful coastline in Puerto Vallarta, picking out all the houses I would love to own! 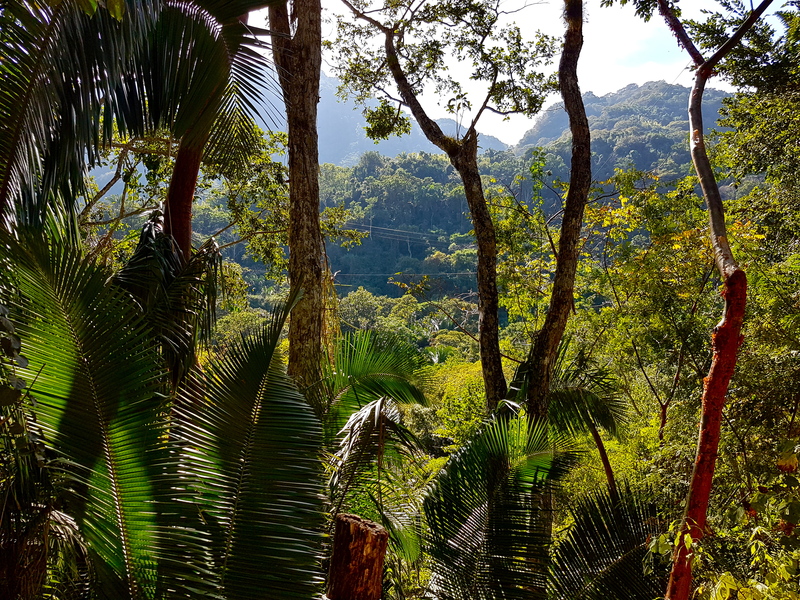 El Eden is located upriver from the Mismaloya beach, above sea level in the lush green jungle of the Sierra Cuale. 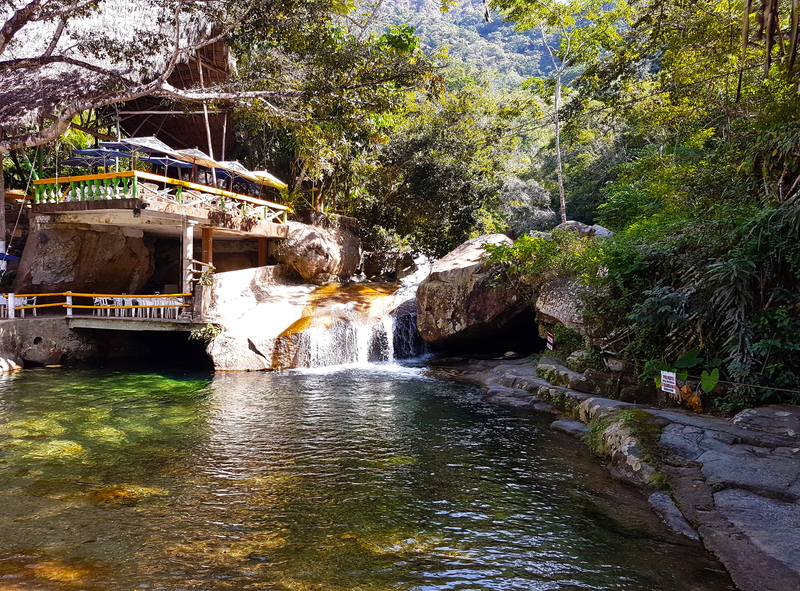 It’s a popular natural attraction in Puerto Vallarta that became famous after being used as the set for much of the Predator film, starring Arnold Schwarzenegger. 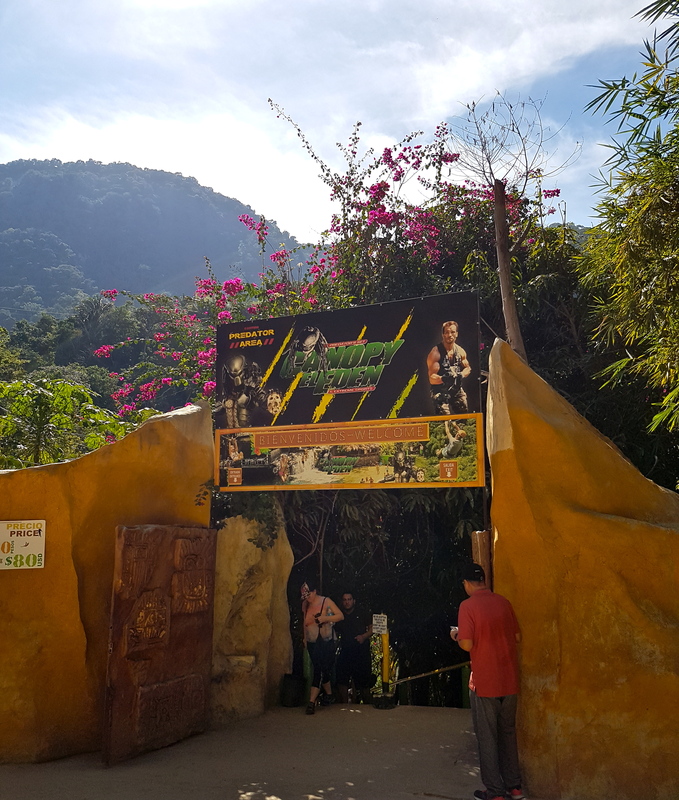 Here, at the El Eden Canopy Tour, we posed with the Predator before getting into our harnesses, drawing on our warrior paint, and heading to the zip lines. It started out slow, moving to larger, faster zip lines as you made your way up into the jungle to fly over the river on the canopy’s 10 zip lines. 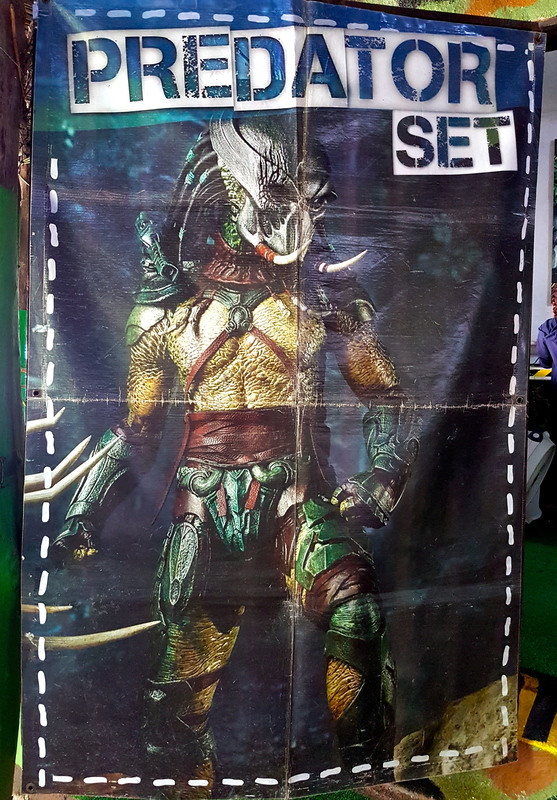 You also had to be sure to avoid the Predator, who could sometimes be found lurking about. 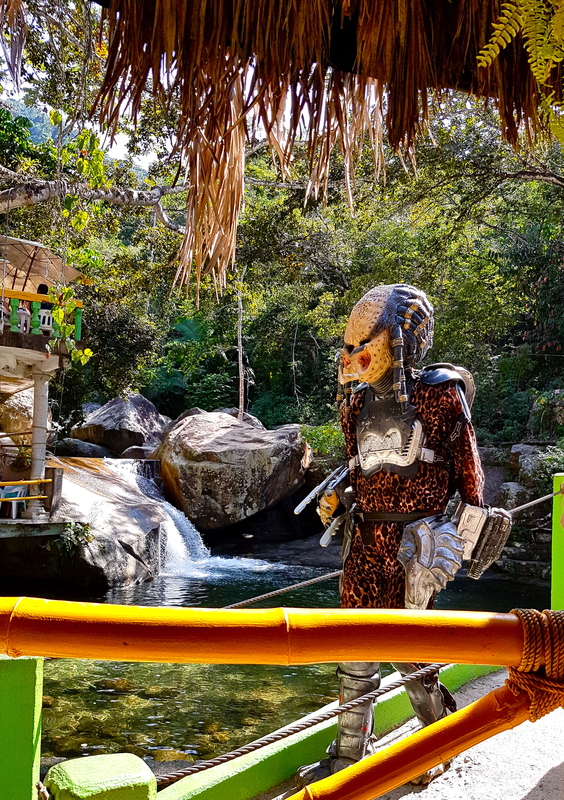 If you make it through with your skin still intact (if you haven’t seen Predator, now would be a good time), you can celebrate with a beer and some chips and guacamole at the El Eden Jungle restaurant, next to the Mismaloya River. 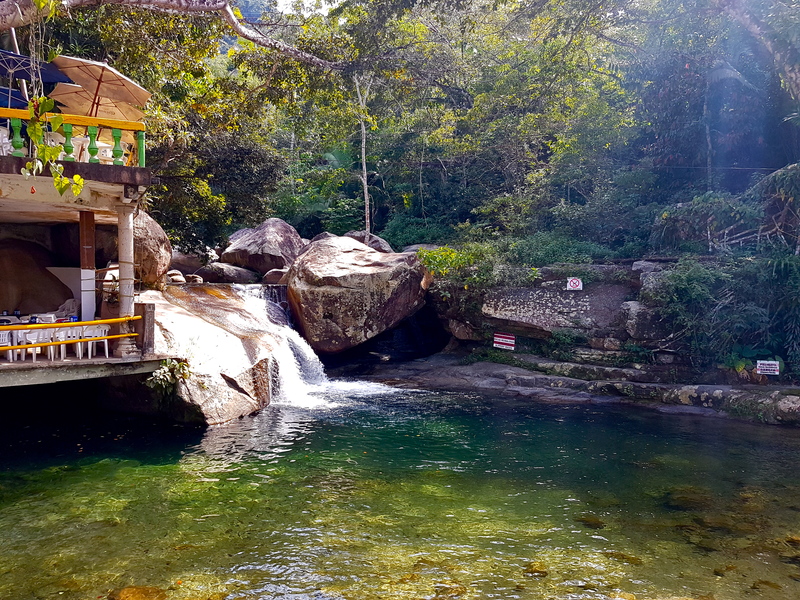 You can even go for a dip by the waterfall or swing Tarzan-style into the refreshing, turquoise pool. Not a bad way to spend an afternoon in Puerto Vallarta, Mexico! 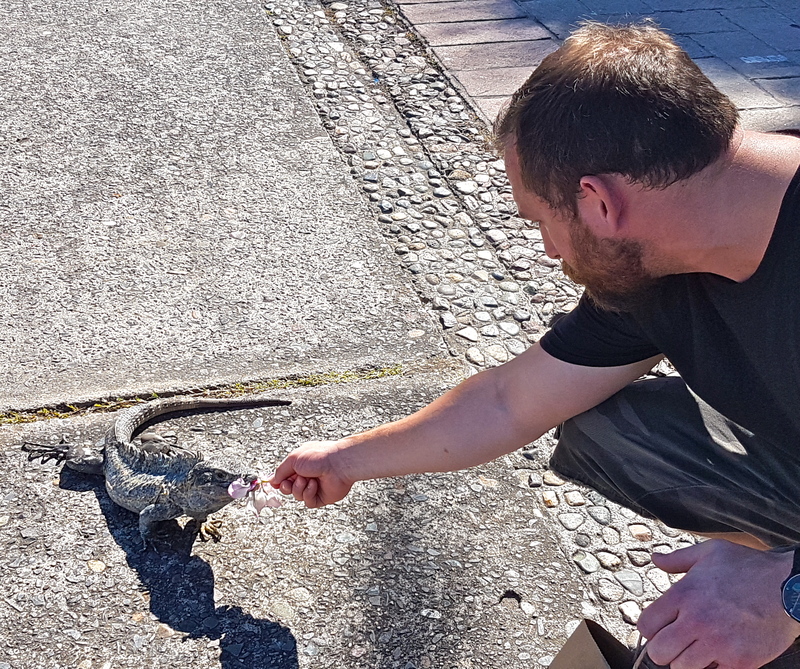 Bring bug spray – the bugs are bad in the jungle! The restaurant is expensive if you are looking for a full meal. The canopy tour is great, but the price of the souvenir photo disk was not. While you aren’t allowed any cameras on the zip lines, be sure to take a few of your own photos before and after if you want to save some money. Having dinner with the crocs! My road trip to Tennessee this summer was basically centred around my love of music – beginning with Elvis Presley and Dolly Parton and ending in Nashville with country music. With only a day to spend in Nashville, we stopped at two of the most famous country music places in the world: The Country Music Hall of Fame and The Grand Ole Opry! I grew up on Elvis. My mom loved him and his music could often be heard playing around the house or in the car. Soon, I got to know all the lyrics and could sing along to his smooth, soulful voice. Even though he died before I was born, like many others whose parents who grew up listening to and loving Elvis Presley, I always felt like he was a singer for my generation as well. So this summer, on a road trip to Tennessee, I decided to stop by a couple of Elvis Presley’s famous spots. Our first stop was Sun Studios, where Elvis was first recorded. The studio is found in an old industrial area that looks pretty run down, but in 1950, Sam Phillips started the studio here. At first, he was just a recorder. He had a portable set up and would travel around recording anyone and everyone, but the new blues style of music was his favourite. He was doing all these recordings, but getting no credit, as the artists were taking their demos and getting signed by labels. This led to the decision to start Sun Studios. Elvis first came in to record a few songs for his mother at 18 years old. Sam didn’t like him, but the woman at the office, Marion Keisker, loved him. Over the year, he kept coming back to record songs and speak with Marion, and eventually sang something Sam liked. In 1953, he signed him. Over the next two years, Elvis recorded 5 hits before being sold to RCA. Sam needed money at the time for one of his many lawsuits to save the studio and knew Elvis would do well with RCA. For 25 years, the studio sat empty. Then in 1984, they started recording there again at night. During the day you can take a tour, and at night everyone from U2 to Maroon 5 comes in to record. The recording studio is still exactly the same as it was when Elvis recorded there. It was also where Million Dollar Quartet was secretly recorded on December 4, 1956. Elvis liked to stop by and see how things were going when he could and one night he was there with some Sun Studio artists – Carl Perkins, Johnny Cash and newcomer Jerry Lee Lewis. They all started jamming, and Sam secretly recorded this session, but legally couldn’t use it for anything as Elvis was under contract with RCA. So it remained a secret until the 1980s, after Sam sold the studio. If you’re a huge Halloween fan like myself, do yourself a favour and take a trip to Salem, Massachusetts during the month of October. 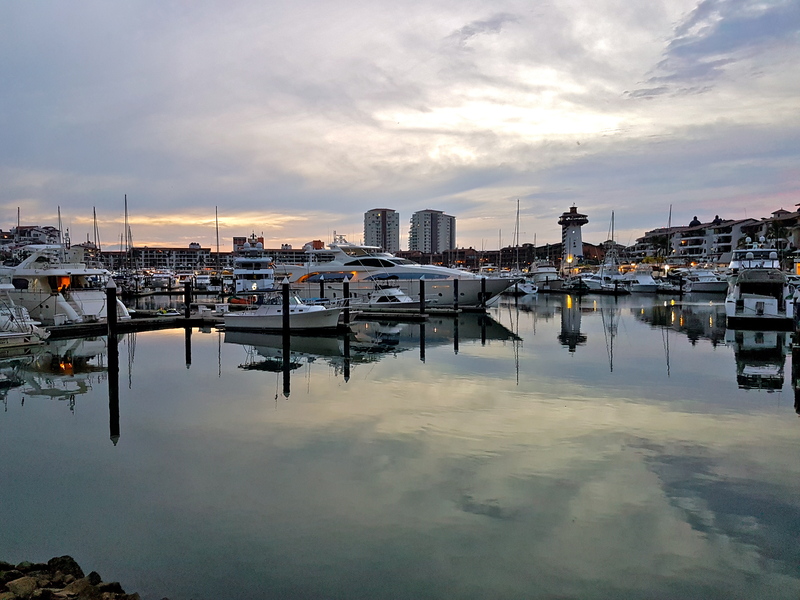 Salem may be most widely known as the site of the witchcraft trials of 1692, but this colourful coastal city has a lot more to offer: impressive historic architecture, maritime heritage and a rich history spanning nearly four centuries. The history and stories surrounding the hysteria of the witchcraft trials is found everywhere here, from museums, to historical reenactments, to haunted walking tours. I’m a huge Dolly Parton fan. I grew up listening to her records and Kenny and Dolly’s Once Upon a Christmas is still my favourite Christmas album. I started as a fan of her music, but as I learned more about her and read her books, I became an even bigger fan of her outlook on life and her ambition. She’s never been afraid to dream big and then go after those dreams with everything she has. This has always inspired me to go after my own big dreams! This summer I got to check both items off my wish list! We all remember where we were on September 11th, 2001 when reports came in of planes hitting the Twin Towers in New York City. I was sitting in English class, when my teacher wheeled a t.v. in. We all sat in shocked silence, watching the terror unfold and automatically thinking of those who were on the planes and those who were in the towers and surrounding area. Immediately, United States airspace was closed and aircraft were ordered to land at the nearest airport. Thirty-eight planes were forced to land in Gander, Newfoundland. Right away, the people of Gander started making preparations for the 6,595 passengers and crew that would be landing in their small town of 10,000 over the next couple of hours. The Day the World Came to Town – 9/11 in Gander, Newfoundland by Jim DeFede, tells the stories of the “plane people” who found themselves in Gander and the friendly Newfoundlanders who welcomed them with open arms. From the moment the first plane landed, everyone in Gander and surrounding towns stopped what they were doing and did everything they could to help. People began setting up shelters, cooking and supplying meals and snacks, and chauffeuring the people from the planes to anywhere they wanted to go, or just giving them a tour of the town. There was always someone available at each of the shelters twenty-four hours a day, just in case anyone needed something. They invited people into their homes to use phones, computers and showers and did whatever they could to help the passengers during their stay in Gander, which lasted almost a week. During this time of devastation, people stripped their houses bare of sheets and towels, and offered the use of their vehicles. Pharmacists filled prescriptions from all over the world at no cost. Local businesses emptied their shelves of food, clothing, toys and toiletries. The Canadian Tire in town was given instructions by its head office to provide whatever was required at no expense. Since, like thousands of others, we couldn’t get tickets to see “Hamilton” on a recent trip to NYC, we decided to take the A train to the site of “In the Heights,” Lin Manuel Miranda’s other show, (which we had no problem finding, thanks to the lyrics). Disclaimer: We didn’t fully follow these ‘directions.’ We actually got off at the Washington Heights stop at 168th and walked up to 181st, but we made it regardless. Washington Heights, Manhattan’s highest ground, was named after George Washington, who led troops into an unsuccessful battle here against the British in 1776. Today, Washington Heights waves a flag of American diversity, with many of its inhabitants hailing from the Caribbean – especially the Dominican Republic. Nestled amongst the concrete and bright lights of Manhattan, Central Park is a wonderful escape from the city’s hustle and bustle. This sprawling 843-acre masterpiece was designated New York City’s first scenic landmark in 1974 and has become the most famous and beloved urban park in the world. Central Park has something for everyone. Grab a hotdog and sit by one of the ponds or rent a boat and row around the lake after lunch at the Boathouse. Do a scavenger hunt seeking out the park’s numerous statues. Grab some friends and play a game of baseball or volleyball. 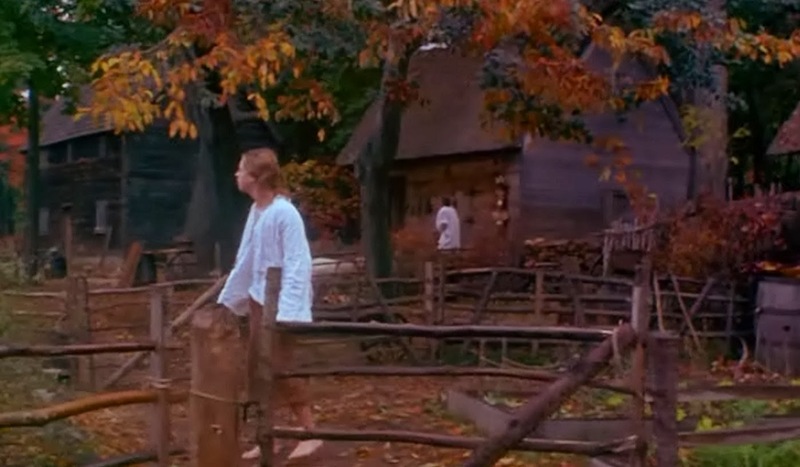 Pay tribute to John Lennon in Strawberry Fields, take a ride on the carousel and then head to Central Park Zoo. With all this and so much more, Central Park will keep bringing you back for more! While I enjoy the park year round, it’s particularly nice on a sunny day in spring as everything is starting to bloom. On a recent trip to the city, I spent a day wandering though the park, stopping for a hotdog, before finding a spot in the sun to sit, read and people watch. Central Park is free and open to the public from 6 am to 1 am every day. The Dairy, a Victorian Gothic building houses the park’s Visitor Centre. Here, you can buy souvenirs, get maps and sign up for guided walks of the park. Carousel Rides are $3 and can be purchased onsite. There are numerous snack vendors and several restaurants located throughout the park. 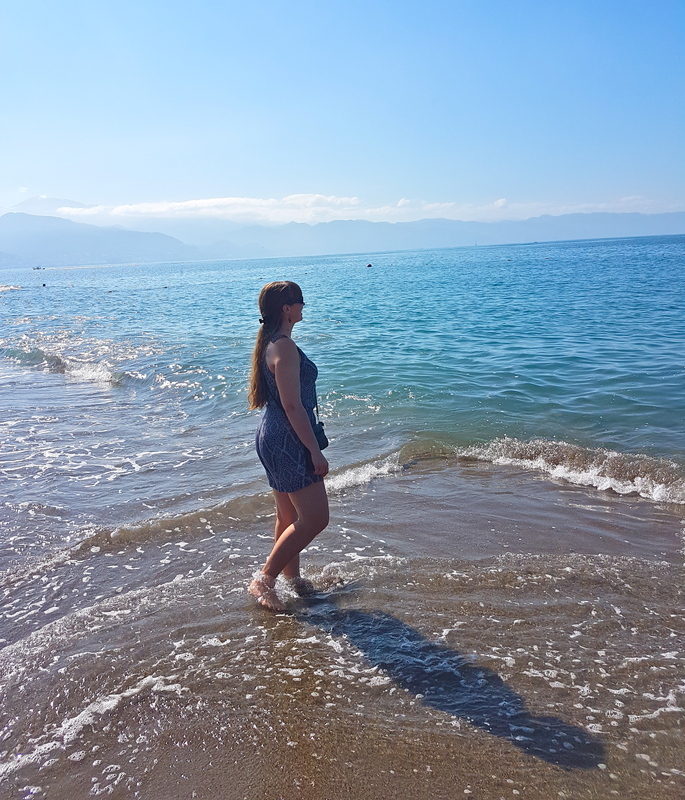 Let me start by saying that I’m a beach girl. 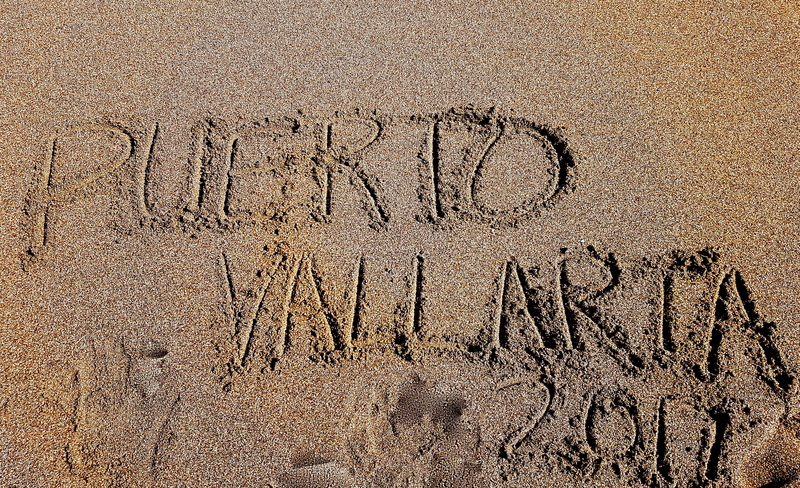 I love the sand, the sun and the heat. Although I grew up in small-town Canada, where as a kid, snow meant days off school, snow forts and tobogganing, I have long since outgrown my love of winter. Even though I spend my time shivering and wearing multiple layers as soon as the temperature starts to hover around the freezing mark (and trying to stay indoors as much as possible once it goes below -10), this year, I decided that sleeping on a bed of ice sounded like a great idea! The magnificent Hotel de Glace in Quebec City, Canada. I’ve seen photos of the Hotel de Glace in Quebec City for years and always wondered what it would actually be like to stay there. So this year, I booked a room and set off to find out. Of course, the day before we arrived, Quebec City had been hit with a major snowstorm and the temperature was sticking between -20 and -23 degrees celsius – perfect weather for sleeping in a room made of snow on a bed made of ice…. The grounds at the Hotel de Glace. Upon arriving, I almost forgot how cold I was. The Hotel de Glace is incredible. I felt like I had stepped inside the Disney movie Frozen, into a palace created by Elsa herself. Now in its 16th year, the theme at the hotel this year was “Rivers.” Here, dozens of artisans work to create a truly magical world of ice and snow. Each year, the hotel opens in early January and runs until the end of March. The hotel is built in four phases throughout the month of January. Map of the Hotel de Glace, stating when each of the four phases were completed. The Hotel de Glace has 44 rooms, 16 of which are suites, each sculpted with a different River theme: an African river with hippos; an Arctic one filled with polar bears; a whitewater raft where the rafters have been thrown overboard and more. The rest of the rooms feature a bed made of a block of ice and a bedside ice table. The hotel also has several ice bars, where you can have a drink served in a glass made of ice. In the centre of the hotel is an ice slide surrounded by an orchestra of sculpted penguins. After checking in, we set out to explore, humming songs from Frozen along the way. Before dinner, we had an orientation session. Here, we learned how to properly get into our Arctic sleeping bags and what to do to stay warm. The key lesson here was “If you sweat, you die.” While layers during the day were a necessity, at night they would most likely leave you shivering. During the day, the hotel is open to the public, so you can only access your room after 9pm. This is also the time when the hot tubs and saunas open. After freezing all day, a nice soak in the hot tub was in order before drying off in the sauna and heading to our room to try and get some sleep, all the while chanting my mantra for the evening: “You will not have to pee. You will not have to pee.” Once I finally got myself situated in my sleeping bag and blew out the candle, I was not getting up for anything. Sleeping on a block of ice turned out to be exactly how it sounds. While there was a mattress on top of the ice, some of the coldness still seeped through. Every time you rolled over, you’d have to re-warm the surface under you. I had the hood of my sleeping bag pulled so tight, only my eyes could be seen (and I even had them tucked inside most of the night). Sleeping like a mummy inside my sleeping bag took some getting used to, but eventually I did manage to fall asleep – at least for a little while. I’m sure I’ve never been so excited to see daylight creep through the curtain door – I had made it through the night without freezing to death! I had slept on a bed of ice, in a hotel made of ice and actually made it through! I made it through the night! What an incredible experience. I had channeled my inner Elsa (although really the cold DOES bother me…a lot) and checked another item off my travel list. I usually leave a place wanting to go back, and this is one I’d love to see again. Although next time, I’ll opt for the day trip option! I always find a mermaid! The apple tree, with actual apples frozen into the branches. All bundled up for my icy sleep! My favourite time of year is upon us. Time for spooky decorations, pumpkin beer, carving pumpkins, gorging on candy and dressing up in fabulous costumes! The time of year when ghost stories come to life and witches take over the silver screen. Over twenty years have gone by since one of the greatest Halloween movies, and my personal favourite, premiered. My yearly Halloween celebrations aren’t complete without watching Hocus Pocus at least once. This year, I decided to take this celebration one step further and set out for Salem, where the film is set. If you haven’t seen this movie starring Bette Midler, Sarah Jessica Parker and Kathy Nijimy, you should stop what you are doing and go watch it….immediately. 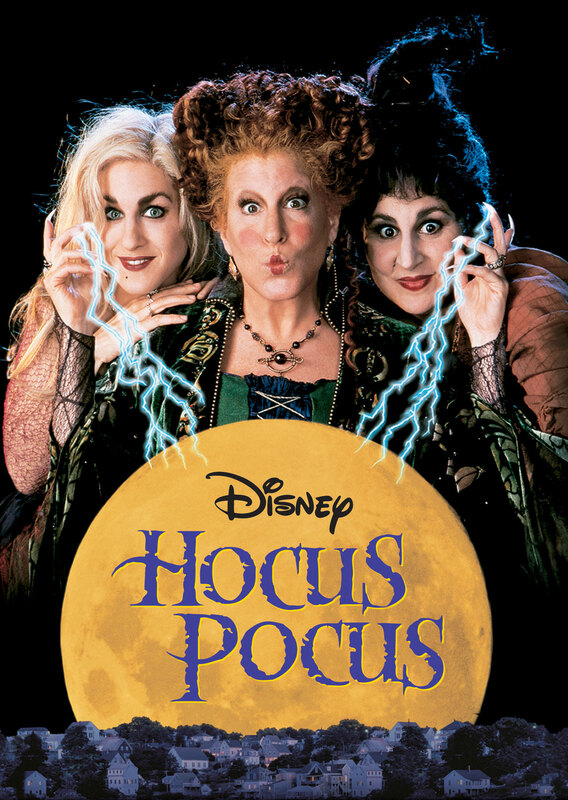 Hocus Pocus tells the story of the Sanderson sisters, three witches who are hanged during the Salem witch trials. After 300 years, the spell the witches cast the night they were hung resurrects them when Max decides Halloween is all a bunch of hocus pocus, and lights the black flame candle on Halloween night. Now it’s up to Max, his sister Dani and his crush Allison, along with an immortal cat named Binx to put an end to the Sanderson sisters once and for all. While most of the filming took place in Los Angeles, some sites in Salem and neighbouring towns made an appearance. 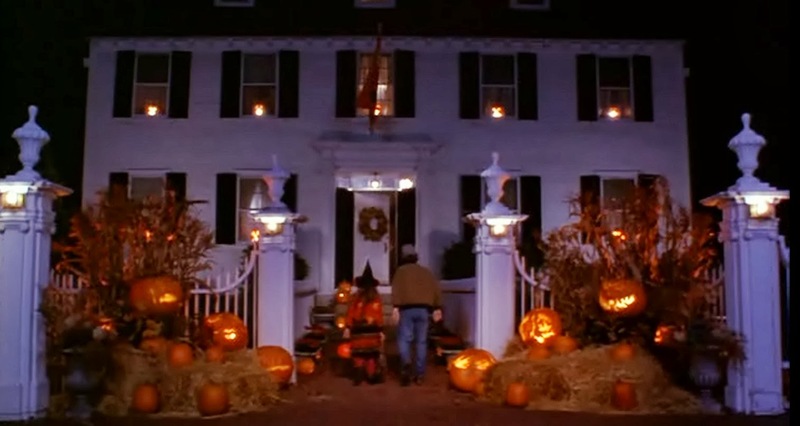 Being such a huge fan of both Halloween and this movie, there was no way I was leaving Salem without tracking down as many of the film sites as I could. 1. 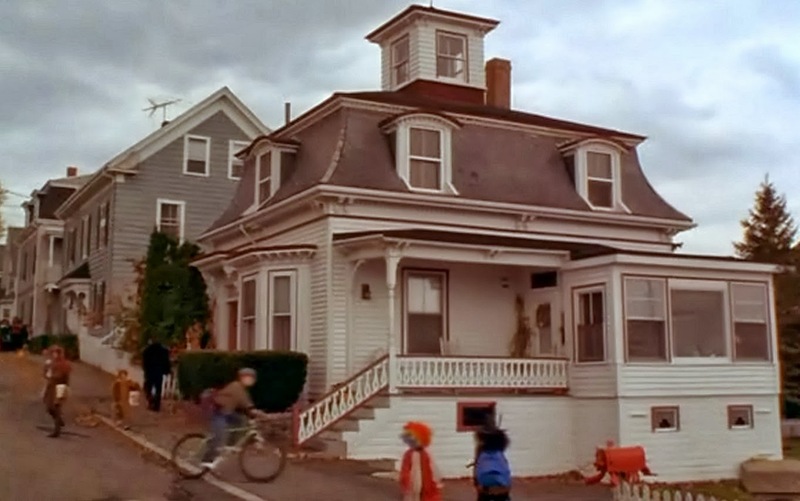 Max & Dani Dennison’s House– 8 Ocean Ave. In the film, the Dennisons recently moved to Salem from L.A. into this amazing house at the end of Ocean Ave overlooking the water. Today, it’s a private residence, but still looks exactly as it did in the movie when the witches burst out of the amazing rooftop tower. 2. Old Town Hall– 32 Derby Square- This is the spot where the Sanderson Sisters ‘put a spell on you’ as the adults spent the night dancing away at the town Halloween party. 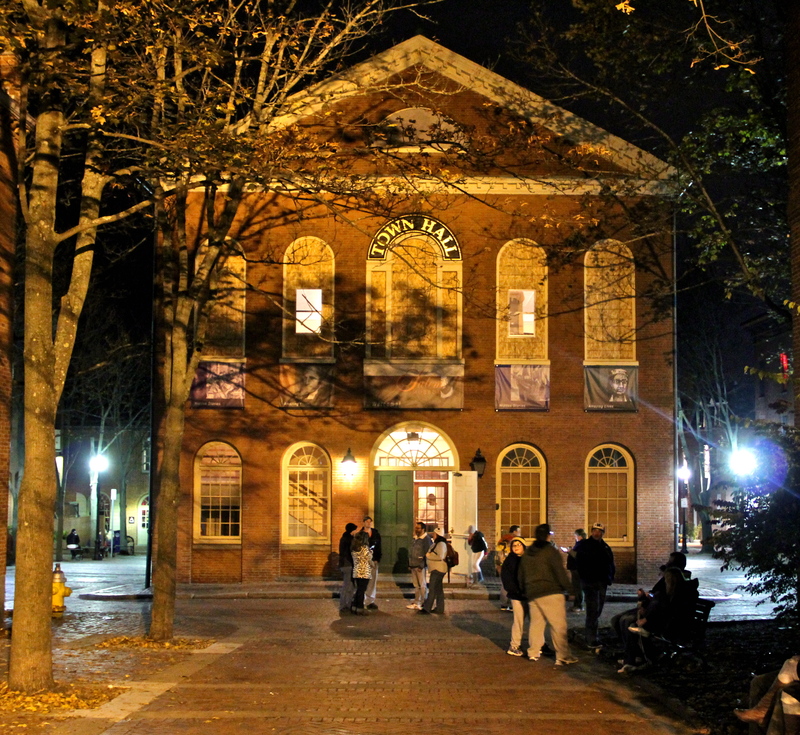 Today, the Salem Museum is located on the first floor of the building. It also hosts the plays Cry Innocent and History Alive. 4. 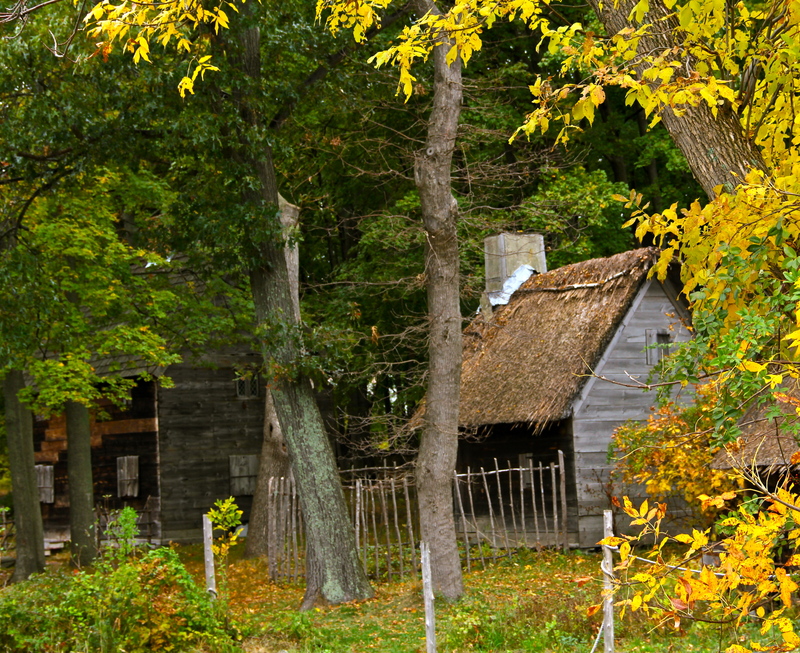 Sanderson Sister’s Cottage/ Thackery Binx’s home – Salem Pioneer Village/ Salem Forest River Park- The pioneer village is the first living history museum. The “1630 Pioneer Village’ is open to the public from from mid-April to September 30th – just watch out for black flame candles! 5. Jacob Bailey High School – Salem Commons- The school Max Dennison attends with Allison. 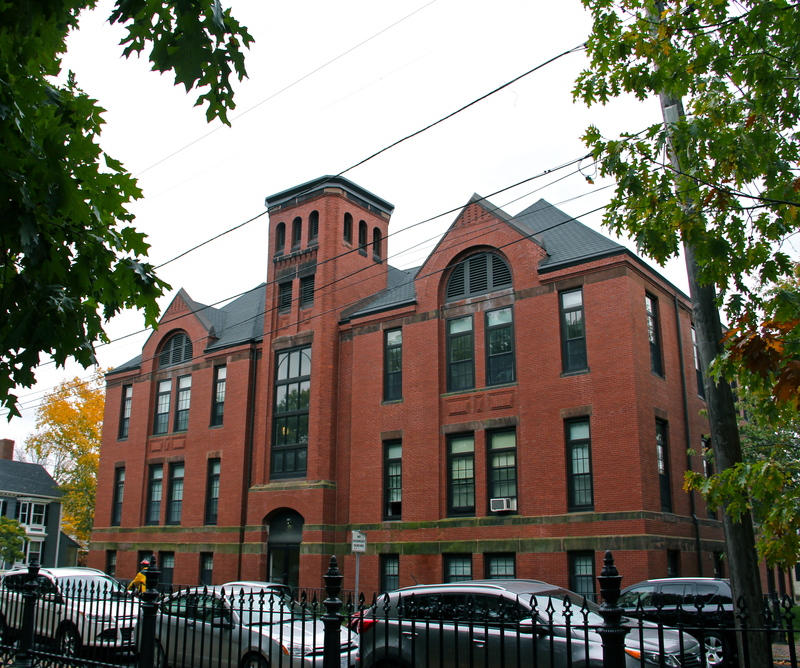 The exterior of the former Phillips Elementary School made an appearance in the movie when Max, Dani and Allison trick the witches into the furnace to burn them. 6. 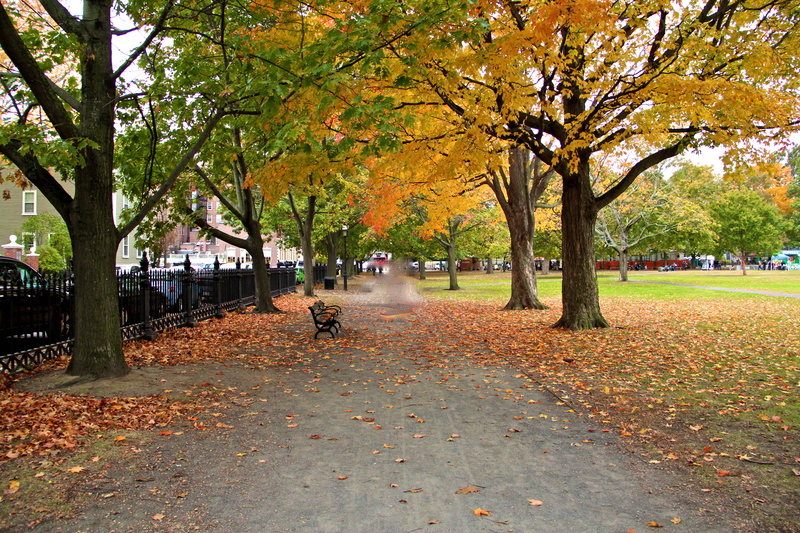 Park outside the school – Salem Common- the scene where Max tries to trick Allison into taking his phone number after school takes place here. Like most New England settlements, Salem had a plot of land where residents could graze their livestock. In 1850, the city enclosed the Common with the wrought iron fence and renovated its structures. 7. 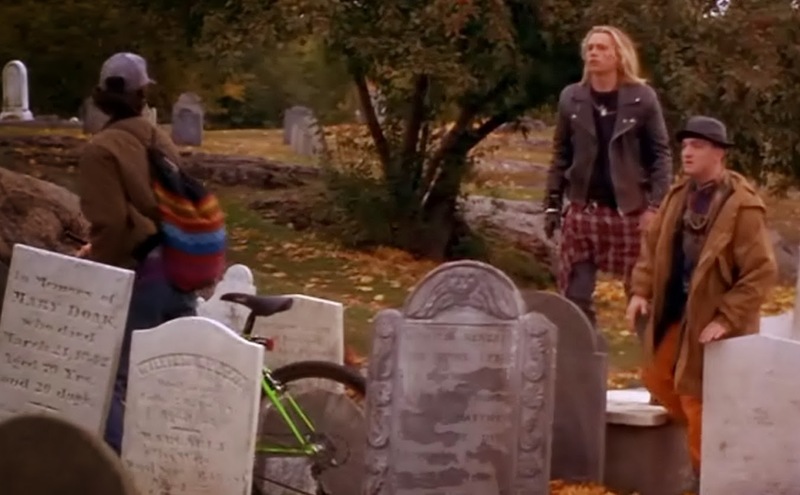 The Graveyard-Old Burial Hill, Marblehead– The daytime shots of the graveyard, where Max is bullied by Jay and Ernie and where Max, Dani, Allison and Binx, hide from the Sanderson Sisters, is located in neighbouring Marblehead. The Old Burial Hill cemetery was established in 1638 and is one of the oldest cemeteries in New England. (Night filming took place in Los Angeles.) Sadly, we didn’t make it out to this one…guess I’ll just have to make another trip! 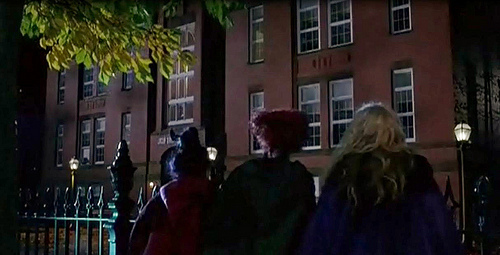 So next Halloween season, if you’re looking to chase down some fun and celebrate one of the greatest Halloween films ever, sail into the Sanderson Sisters’ witching ground and take your own walking tour of these Hocus Pocus filming locations!